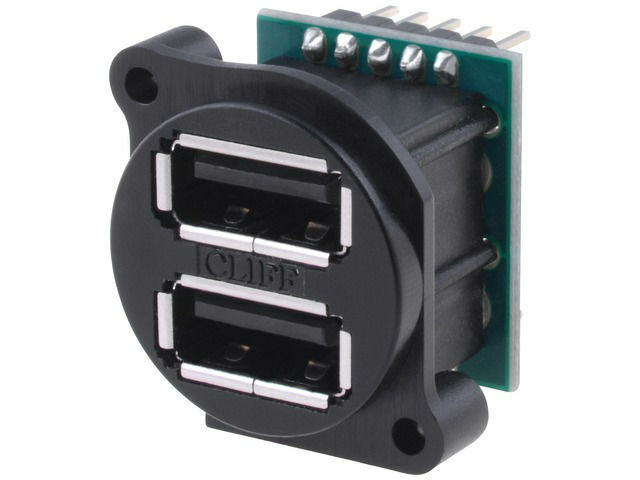 TME’s offer has been enriched with a new item by CLIFF – double USB socket in a popular XLR enclosure for panel mounting. Each of the sockets has separate terminals for PCB in the form of 6 mm high pin headers. The use of XLR enclosure standard helps save space of the ready equipment and also helps implement it to the existing appliances.